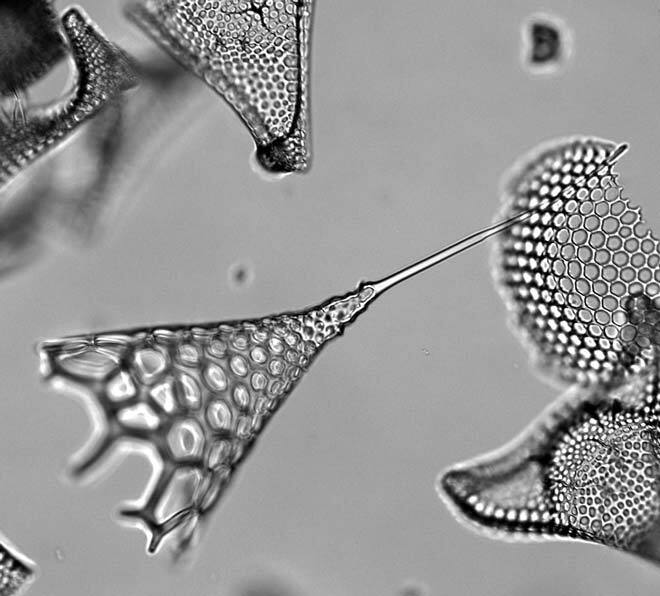 Radiolaria are single-celled predatory organisms encased in a silica shell. They capture their food by extending parts of their body through holes in the silica frame, and trapping passing prey. Like diatoms, their skeleton is preserved in ocean sediments. These 60-million-year-old radiolaria were extracted from a deep-sea core from the Campbell Plateau, just south of New Zealand.